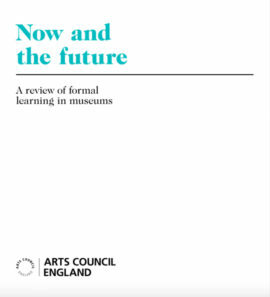 Review of formal learning in museums for children and young people aged three to 19 years in the context of a fast-changing educational and funding landscape. Latest headline estimates of adult (16+) engagement in culture for the year October 2015 to September 2016. 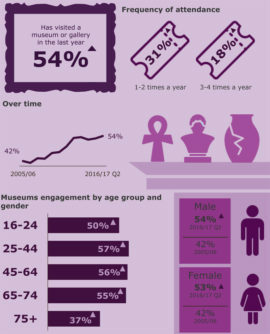 One page infographic for Museums and Galleries 2015-2016. 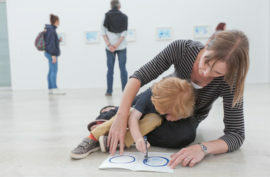 Analyses and calculates the social value created by Turner Contemporary during the gallery’s April 2015–March 2016 financial year. 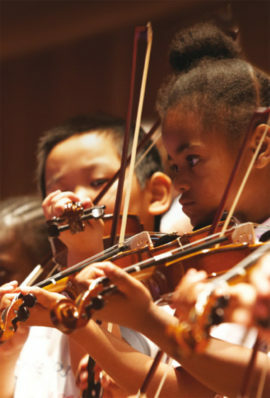 Conference proceedings report from the third International Teaching Artist Conference, held in Edinburgh. 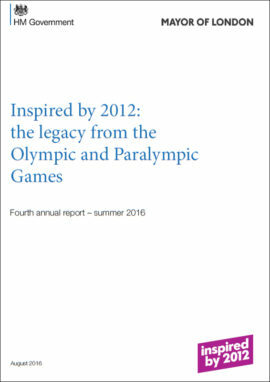 Fourth annual report from the DCMS, published in summer 2016. 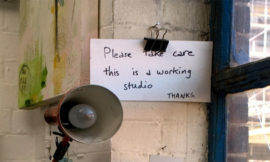 Executive summary of investigation into the UK’s existing creative workspace provision and the challenges to sustainability the sector faces. 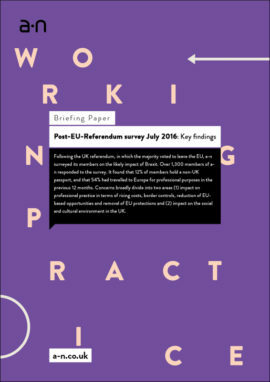 Following the UK referendum, in which the majority voted to leave the EU, a-n surveyed its members on the likely impact of Brexit. 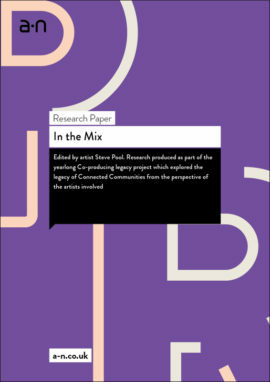 Research produced as part of the year-long Co-producing legacy project, which explored how artists worked within the 2009 AHRC-led Connected Communities programme from the perspective of the artists involved. 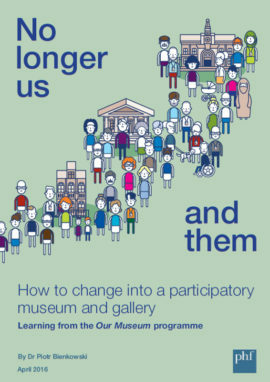 Learning from the Paul Hamlyn funded ‘Our Museum’ programme. 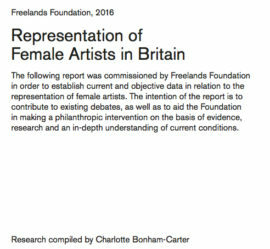 Short graphic report demonstrating gender inequality in the arts in Britain. 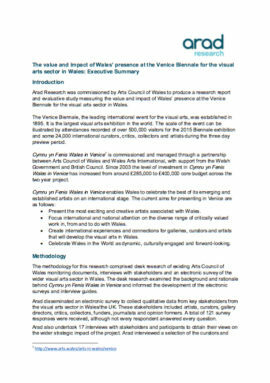 Executive summary of report evaluating the Wales in Venice project since 2009. 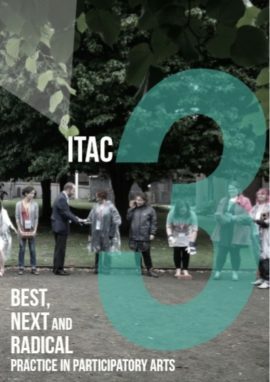 Write-up of research project examining the ways in which two of Tate’s 2014 ticketed exhibitions created value for audiences. Essay focusing on interactions between women artists, exploring how collaboration impacted the work of art and created a feminist politics. 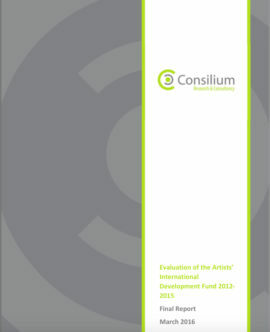 Joint ACE and British Council commissioned evaluation of the International Artists Development Fund. 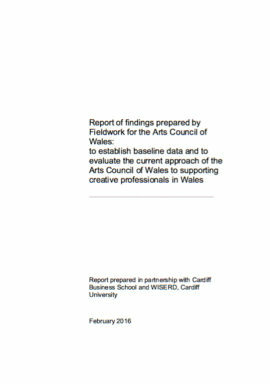 Solid dense report providing quantitative data on the who, what, why, when and how of the arts in Wales. Consultancy research based on a sector survey with questions covering fundraising, partnership development and earned income. 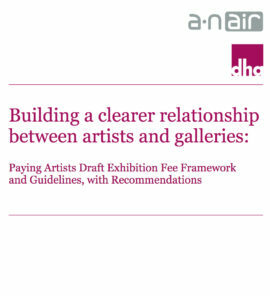 Based on learning from the first eighteen months of the Paying Artists initiative, the paper provides a draft exhibition fee framework, with recommendations and guidance for implementing this. 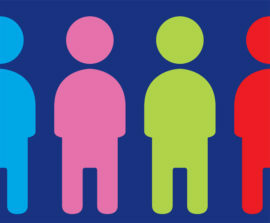 Looks at who is participating in four of the sectors DCMS has responsibility for: Arts, Heritage, Museum and galleries and Libraries, including information by key demographics. 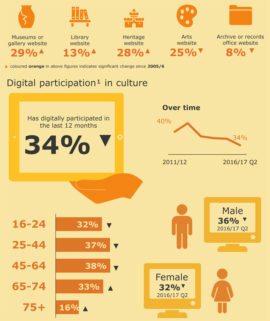 One page headline figures for Digital Engagement 2015-2016.